Games are everywhere. They’re on your phone, they’re on your tablet, they’re on your computer, they’re on your tv, they’re on your kitchen table. They’re everywhere. In a market with so much great content, how do you get your game out in front of the people who want to play it? If you’re a AAA game developer, you probably have the budget and “the name” to get your products seen. Every other ad on YouTube is for whatever big game is coming out next. In addition to paying for advertising, the big games get plenty of coverage from blogs and publications, whose readers are hungry for the latest scoop. An indie developer budget won’t always allow for big time advertising, and without established clout you’ll have to work harder to get some press. But you can definitely do it, so let’s take a look at how. 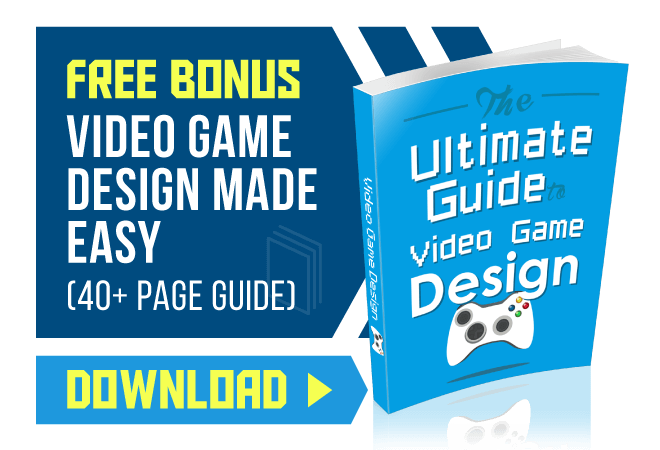 Related Content: Become a video game designer following these steps. 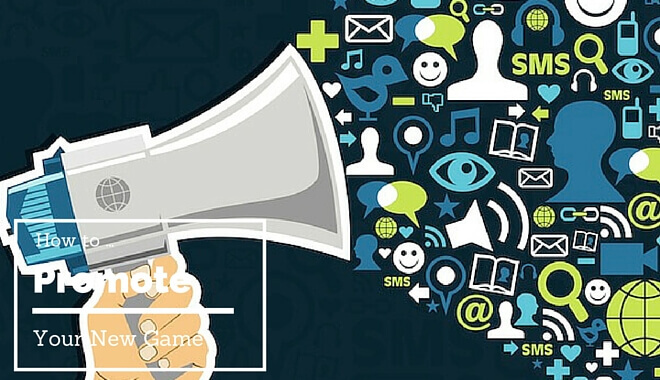 As soon as you have a product that is representative of the look and feel of your game, it’s time to start marketing. It can be something as “easy” to produce as a screenshot. You can scale this up as your game develops. You can produce trailers, and game demos. But you don’t have to wait for those to be ready in order to start marketing your game. By reaching out early, you will be able to build relationships as you keep influencers availed of your progress and big news. What else should you have? A website can be helpful. You want a destination to which you can direct people who are interested in learning more. If this isn’t your first game, the website could be home to your other creations as long as the games are arranged in a separate, distinct way. You could also have a website that is specifically for the game you’re currently working on. In either case, you need to keep it up to date. It’s helpful to come up with a loose content-release strategy. This could be a new screenshot every other week. It could also be a new feature release. Different content will make more or less sense depending on the game itself. But having this timeline gives you something to point to in your media outreach. Social media is another excellent tool. Behind-the-scenes videos could be good content for YouTube. Keep in mind that you don’t want to waste anyone’s time with this (including your own), so make sure it makes sense before you try and execute on it. If your personality doesn’t come through on video then it might not be the best way to go. A video showcasing your day-to-day in the making of this game should be funny and compelling. A bizarre video of stressed game devs in a flourescently-lit office building isn’t going to leave people clamoring for more. But if you have a swanky space and your team has a lot of fun talking to each other, talking about the game, and talking about what they do, you could give video a shot! Twitter and Instagram are two other ways to generate some buzz. The thing is, if you don’t have any followers, nobody is going to see your content. So what do you do? Well, a possible solution is to get thousands of more followers. This can be a challenge. Think about the people you follower on twitter. Why do you follow them? Have they made a cool game? Do they know what they are talking about? 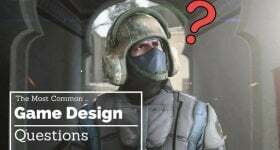 Do they have good tips and insights about the world of game design and development? Do they just make hilarious content? It is likely a combination of those elements that gets you to subscribe to different people. Building that kind of rapport and clout takes time. The bottom line is you either need to generate excellent, engaging content yourself, or you need to curate that excellent content. People will follow you if you can make yourself an authority in your field. H’ok, fine. If that’s the case, then you have another option! Reach out to the people that have already established themselves! They are all over the place! Think about all the channels through which you get good game information: YouTube, Blogs, Twitter, Magazines (online or print), etc. There are plenty of people in those fields that A.) are looking for stories and under the radar games, and B.) have established audiences of thousands, or hundreds of thousands, or millions of people. If you can get a quality game in front of those loyal, ready-to-play fans, you will be in excellent shape. OK, you’ve decided that you want to reach out to influencers with sizable fan bases that would get a kick out of your game. This is a great option because it doesn’t cost you anything, but it’s also going to take a bit of work on your part, and some trial and error too. You’re going to have to pitch these influencers when you contact them. Here are some quick tips: First, you need to stand out. The more popular these people are, the more emails they’re getting from people like you (and all kinds of other people too, probably) looking to get their own games in front of a big audience. Don’t waste their time with a long, rambling email. Instead, use short sentences and get to the point. Show them that you value their time. Comment on something they’ve done. “Hey PewDiePie, My name is Gregory and I’m working on this awesome 4D simulator game. It’s the future. I really dug your piece a while back on inter-dimensional time travel. It was really poignant, in fact I actually pulled a good bit of inspiration from it when I started designing this game. Listen, I’d love to hear what you think. Would you have a quick 3 minutes to watch a trailer I put together for the game? Either way, thank you for what you bring to the gaming community, and thanks for hearing me out. Getting him to agree to give you 2 minutes of his time is significantly easier than trying to convince him to sit down and play your game for an hour and a half. Obviously, elements of the email will change based on your game and how far along you are in development. It’s good to send pitches around your milestones or checkpoints in the project, that way the influencers have something to write about or tweet about. Take an indie rock band. If they wanted to get a write up in a magazine, which offer looks more appealing to the editor? Hey, we are a New York City-based indie rock band. We’re coming up on our first album release in a few months, and we have a new single we’re ready to release. Would you have five minutes to talk about the possibility of debuting it on your e-mag? Number two is worlds better. Worlds better! Here’s another quick tip: Look for games that have things in common with your own, figure out who has reviewed them, and reach out to those reviewers, making mention of the similar comparisons! Crowd-sourcing can be a good option. You’ll get a lot of traffic for you project, and some of those could result in backers. There are other devs on there too, and building those relationships could result in future collborations. Marketing at cons requires a booth, which can be pricey. Groups like Indie Mega Booth and IndieCade offer some help for those of you on indie budgets. They don’t always get you a discount game booth at an event, but they can help get you other kinds of exposure. Give them a look. If you don’t get a booth or can’t afford a booth, you can always go to cons to hand out swag or fliers that will get people to your game/website/funding page. Events can be excellent networking opportunities not just for your game, but for your career as well. The final option we’ll look at is the world of YouTube ads. When used correctly, you can make a little bit of money go a long way. YouTube has a powerfully specific advertising tool. It lets you pick what kinds of videos you want to play in front of (as in specific channels), what kind of users you want to advertise in front of (as in their other interests), and even where in the world you want the ads to run (as in USA? Australia? Britain?). Test different segments of the market, and see where your greatest support bases lie. There are so many options for you, and there are ways to advertise while accommodating all kinds of budgets. A lot of it will be trial and error, especially starting out. Mix up your outreach methods. See what ends up working for you and your game. Inaction is the real way to fail, experimenting with different approaches should count as a win, even if it doesn’t yield the results you had hoped for. If it was easy, everyone would do it! But with some serious commitment, you could garner some excellent support for your game.